Oscar Espinosa Chepe, an economist and independent journalist in Cuba, writes about the need for change in Cuba for the Miami Herald. In the context of the Obama administration’s opening to the appearance of Cuban artists in the United States no matter what their political positions, Silvio Rodríguez, his wife and daughter received visas to tour that country. The highlight of the tour is a performance at Carnegie Hall in New York on June 4. In addition, the visit will include appearances in Los Angeles, San Francisco and Puerto Rico. Although Silvio maintains his support for the regime, in recent times he has expressed criticism of controversial issues in the nation’s reality, among them the restrictions on entering and leaving the country, as well as the Revolutionary Offensive of 1968 [when the government confiscated more than 55,000 small businesses and put them under state control] and its disastrous consequences. Silvio’s visit has been preceded by the visits of many other Cuban artists. The day before his appearance in Carnegie Hall, Alicia Alonso will be honored by the American Ballet Theatre in New York, where she began her career as a dancer in 1943. She is about to celebrate her 90th birthday. Alonso is not limited by her political position of connivance with totalitarianism, including her support for the repression during the Black Spring of 2003, which put in prison 75 peaceful Cubans only because they tried to express their opinions, and for the cruel and excessive sentence of death by firing squad meted out to three young blacks who made the mistake of trying to take a ferryboat to the United States without shedding any blood. Cubans applaud President Obama’s gestures of true democracy and wonder when the Cuban government will allow artists who live abroad to bring their art to Cuba. People here want to enjoy the appreciated talent of Bebo Valdés, Gloria Estefan, Willy Chirino, Albita, Paquito D’Rivera and many others. The repeated friendly gestures made by the American authorities should be reciprocated by the Cuban authorities. At a time when the economy sinks swiftly, we should take advantage of Washington’s stance to begin to settle the differences that for so many years have separated our countries. Ninety miles from our shores and possessing the world’s most powerful and efficient economy, the United States would be an economic and commercial partner that, on a basis of mutual respect, could help lift our country from the terrible chaos in which it finds itself. 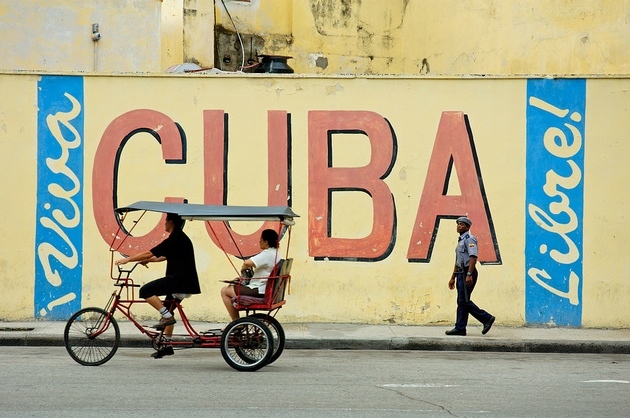 That requires outsize investments that demand enormous resources and the best technology, factors available in the United States, home to 1.7 million Cuban Americans, who could form a magnificent bridge to achieve that objective. It is impossible to reach that objective, however, if the Cuban government does not also take steps toward rationality and the gradual democratization of the island. Such a strategy would be in line with the interests of Cuban society, which has been plunged into disaster precisely by the authorities, when they refuse to walk along the road of sanity, common sense and respect for different opinions. Today, more than ever, it is in the interest of all Cubans, the government included, to put aside a bunker mentality cluttered with wrong positions and useless rhetoric. It is indispensable to take concrete measures that would include: the immediate release of prisoners of conscience and peaceful politicians; turning over the land to the peasants so they can cultivate it freely and enjoy honorable lives with their efforts; allowing the creation of small and medium private enterprises; granting all the citizens the freedom to work in a legal framework for the establishment of a democratic society with respect for human rights; and creating a strong and independent civil society. We are in a crucial moment for Cuba. The changes can no longer be delayed. The government must understand that the transformations cannot be postponed. Reconciliation is attained on the basis of honorable compromises among all Cubans.